A few weeks ago an image circulated around the web featuring Wolverine fighting what looked to be the Age of Apocalypse version of Nightcrawler. At the bottom of the picture were the words “X-Termination: March 2013” with little to no explanation besides what was presented. Flash forward to now and we finally have the details behind this three book crossover, which is said to have huge ramifications going forward for all the books involved. X-Termination is a one-month event detailing Age of Apocalypse’s Nightcrawler and his journey home. But since jumping through different dimensions is always tricky business, Nightcrawler is going to bump into a few people, most of which he’ll probably end up clashing with. Besides his own series, Nightcrawler will make his way into Astonishing X-Men (hence the aforementioned teaser picture) as well as the dimension hoppers that make up X-Treme X-Men (which has its own Nightcrawler). Newsarama talked to Age of Apocalypse writer David Lapham about the event and he had plenty to say. 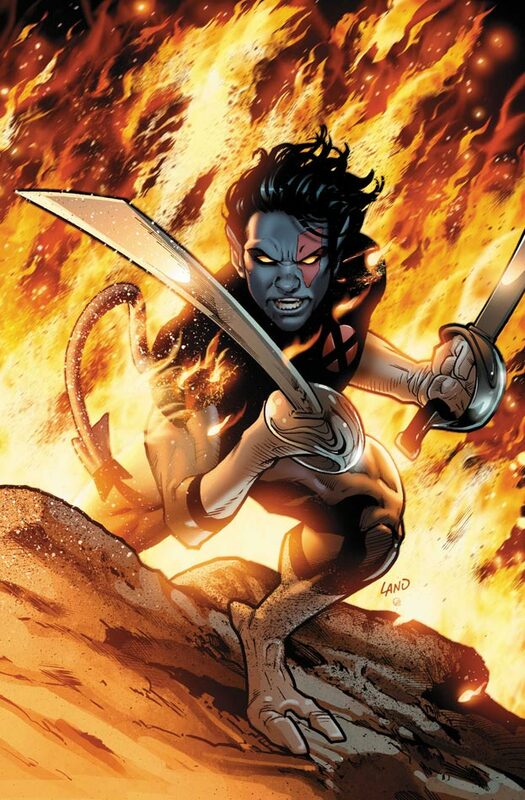 While I haven’t had a chance to read Age of Apocalypse or a whole lot of Astonishing X-Men, I am an avid fan of X-Treme X-Men and it’ll be interesting to see how that Nightcrawler interacts with AoA’s Nightcrawler. Either way, it looks to be an exciting crossover and I can’t wait to see how everything turns out. X-Termination begins with an Alpha issue in March 2013. Be sure to check it out when it hits stands.